"Wir sind nach Cabrera, dann zum Estrenc und haben dort Wasserski gemacht. Cabrera ist landschaftlich ein Genuß genau wie der Estrenc (wenn letzterer auch etwas voll ist)"
"Mallorca and Menorca proved a stunningly beautiful and welcoming cruising ground"
"A delightful sailing area - scenic coast with many charming calas." 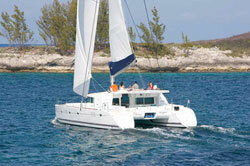 "Very hospitable marinas with solid infrastructure. Great place to go sailing!" "Tolle Haefen, teilweise schlechte Sanitaeranlagentz"
"excellent flight connection, airport transportation, car rental, places to visit etc." "Hafengebüren in öffentlichen Marinas sind OK."
"Caprera ist schön und Bojenreservierung hat super geklappt. Versorgung in der Bar (Cantina) freundlich und ausreichend." "beaucoup de choix differents dans les mouillages"
"Autoridades muy buenos, me han dejado en paz que soy chico bueno." 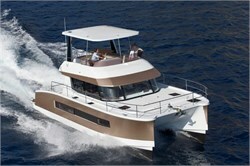 Coming to Palma de Mallorca is like entering a true paradise for yachting. 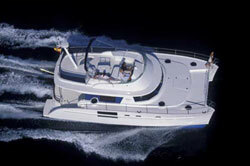 The infrastructure for boats is excellent and there is a multitude of gorgeous marinas to choose from. Sightseeing and shopping is great and a vast amount of gorgeous restaurants is waiting for you to sample the local cuisine. 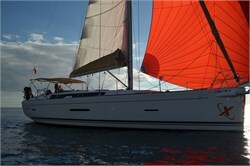 Come to Palma and enjoy your sailing holiday in style! 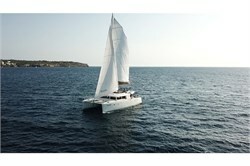 Setting sail from Palma de Mallorca - How to get there? Amongst other reasons, Mallorca yacht charter is so incredibly popular because of the easy accessibility of its international airport from all major European destinations. There are hundreds of daily flights coming in during the summer, making it a real hub for sailors and seasoned yachties from all over the world. In addition, the airport is a mere 9 km away from the capital `Palma`, as it is simply known to the inhabitants. Its favourable location in the western Mediterranean Sea sets this gorgeous island and the surrounding Balearics in the immediate vicinity of the Spanish mainland and the port cities of Barcelona, Valencia and Denia. Often sailors will use Palma as a resting point when crossing the Mediterranean. The area is a great cruising ground for yacht rental because of the diversity of the different islands that make up the Balearics. 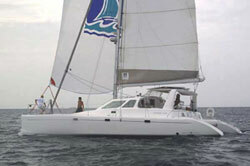 Ibiza, Formentera and Menorca are reachable within only one sailing day. Yet they each offer something completely different in terms of culture, landscape and atmosphere. 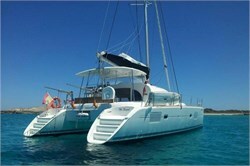 Which marinas in and around Palma de Mallorca are there for motor or sailing yacht charter? There are some very established and some pristine new marinas to choose from for your yacht charter vacation in Mallorca. The yacht harbours in Palma itself are offering quite a lot of both, luxury and bareboat charter, whereas the exclusive marinas of Puerto Portals, Port Adriano and Puerto Andratx are perfectly suited for luxury boat charter in Mallorca. 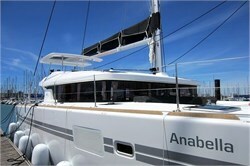 In Palma there is the Club de Mar, La Lonja Marina Charter, the Real Club Nautico and the Marina Naviera Balear. A lot of yachts doing day charters, especially motorboats, are moored in the port of Palma. Very nice as well is the newly redone `Muelle Viejo` directly adjacent to the magnificent Cathedral 'La Seu'. There are some fantastic new restaurants right opposite which even bring you some take away on board. There you can then sit on your own deck for dinner, enjoy the enchanting view of the lit up cathedral and feel the pulse of the charming centre of the city. Puerto Portals is only a 10 minutes´ drive away and has long been renowned as a prime port for luxury yacht charter Mallorca. If you sit in the restaurant `Flannagans`, for example, you may even be table neighbours with the likes of the King of Spain or Rafael Nadal. And Port Adriano (about 20 min drive from the city centre) with its cutting edge design by Philippe Starck is a true superyacht harbour with the flair of sober elegance, yet undeniable beauty. What has Palma de Mallorca got to offer for après sailing? Now you may have come here for sailing holidays, but there is way more to do if you only know where and when... Not a day goes by in Palma that there isn't some sort of party or event. From January to December, there's always something going on here. If you have not attended it yet, seeing the Three Kings arrive in the port on the Spanish Christmas day, January 6, is a sight to behold. And in the end of January there is a whole week of festivities called, Sant Antoni and San Sebastian. Numerous life bands play in the streets, you can `run with the devils` or join in for the huge barbecue at the very end of the week. In summer you can pick your choice of regattas: Be it the Superyacht Cup in June, the Princessa del Rey in July or the Copa del Rey in August. Downtown Palma is wonderful to behold, as is the old quarter. You'll find the overall architecture is a blend of the intricate eastern style and the imposing western style. The famous Palma Cathedral, commonly referred to as ´La Seu´ is second to none in the world. Also a must is the impressive Castell de Bellver that towers over Palma and boasts some unbelievable views over the whole bay. Apart from seeing the abundant sights, sampling the local specialities like the famous Sobrasada sausages or the popular `lomo´ (pork loin) along with some Mallorquin wine is a pure joy. Shopping facilities for souvenirs, fashion or in preparation for your yacht charter Palma de Mallorca are plentiful. Just head to the big department store El Corte Ingles (they have a luxury delicatessen department too) or to the shopping mall Porto Pi that is situated just around the corner from Club de Mar. Between the airport and the city openend a new shopping center "Fan" in 2016 that hosts many international brands. You can purchase fresh produce in abundance in the centrally located Santa Catalina Market during the mornings. And in the Old Town and the city centre there is an endless array of gorgeous boutiques and shops for you to choose from. The nightlife of Palma de Mallorca is splendid. You just need to head down to the water towards the promenade known as Paseo Maritimo. There you'll find the best clubs, bars and terraces, all overlooking the Mediterranean Sea, and all packed full with happy yacht charter visitors. Insiders prefer the "Tardeo", a kind of afterwork event at the weekend, that happens Saturdays 5 PM until 10 PM at the Carrer Sant Magi in Santa Catalina, just opposite of the Club Real Nautico. Thursday night you should not miss to have a look into the "Garito Cafe, which is actually a restaurant & bar with a dancefloor that used to fill around midnight. 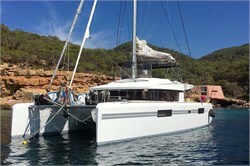 What are the best day charter trips from Palma de Mallorca? Off course Palma is the heart of Mallorca, yet it isn´t everything there is... By car you can do many excursions, head into the spectacular Tramuntana mountain range and visit some of the enormously charming little villages there. Deia, Valdemossa or Puerto de Soller are just a few names you should remember. There is a very cute, over 100-year-old train that goes from Palma to Soller and from there you can take the equally quaint tram to the port. A recommendable trip on the water would be going on a guided tour to the Island of Cabrera, which is also a nature reserve. On the way they will tell you a lot about the interesting history as well as the fauna and flora of this place. Go swim in caves with crystal clear water and soak up the Mediterranean sun. 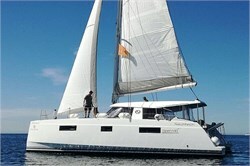 A day yacht charter, most likely on a motor yacht from Palma would be another option to go there. 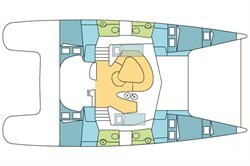 One of those motor yacht charter boats can fit up to 6 to 8 people and you get a skipper to take you to the island, where you can snorkel or dive and admire the unspoilt underwater world. 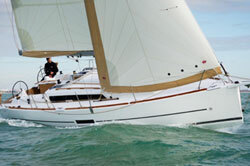 What yacht charter providers are there in Mallorca? 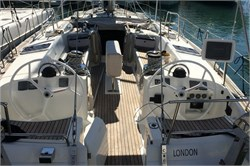 So you see, Palma and the whole of Mallorca is ideally suited for yachting and could be the perfect starting point for your dream sailing yacht charter. 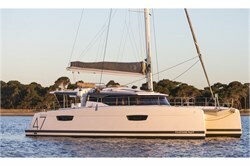 With our user-friendly YachtFinder app you can compare the best offers. There are also over 300 client reviews for you to choose from. We hope you enjoy the cruise!